*IMPORTANT CHANGE* When Urgent was started, our goal was alert the public to the animals at the NYC shelters, and advocate for them. At that time, the NYC ACC was not publicizing the animals in danger of dying the next day. No one knew. So, Urgent was formed and we started doing what the shelter should have been doing. Every night, we published the “euth list,” and other animals at the shelter that would be in danger very soon. This went on for YEARS. Finally, earlier this year, the shelter created a new website that made the list view-able for all. They also created a Facebook page that showed the nightly list. They were finally doing what we had wanted them to do from the start. There are still a lot of changes that need to take place regarding NYC’s homeless animals. Urgent feels that we need to shift focus and start working on those issues, instead of the nightly list. We feel that since the list is being published and updated on the NYC ACC’s Facebook page, everyone can and should go there to view the list and share it. Over the past few months, we have been phasing out our old format to make way for the new. After many discussions with the volunteers that run the Urgent CAT FACEBOOK page, we have all agreed to let them take it over and continue on with posting the cats at the NYC shelter. 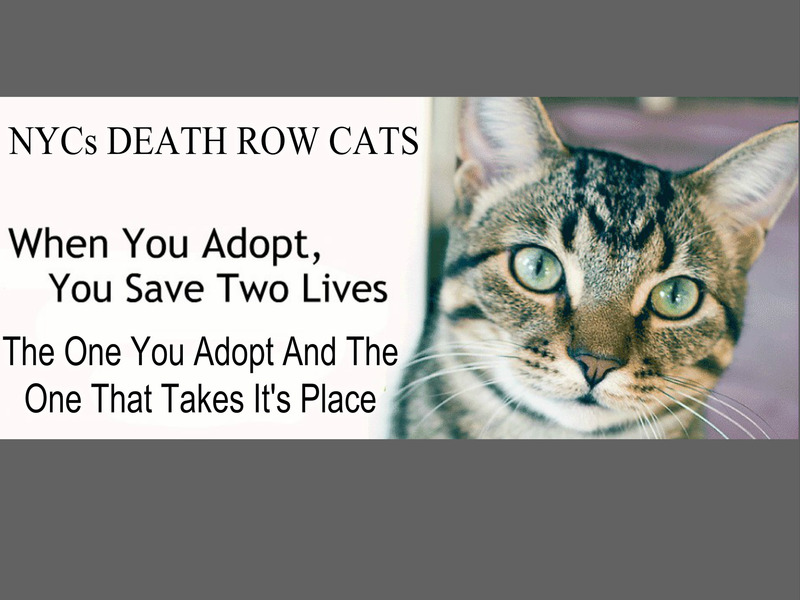 As of TODAY, Urgent Death Row Cats is being taken over by the dedicated admins that have run this page all these years. It will no longer be an URGENT FACEBOOK page. It will have a new name and a new look, but will still be the same FACEBOOK page that you come to every night. This FACEBOOK page will no longer be affiliated with Urgent Pets On Death Row. The Urgent Pets on Death Row website (and Urgent Death Row Dogs) will remain, and once the transition is complete, we will be back to start addressing the many issues that still need to be fixed in NYC.